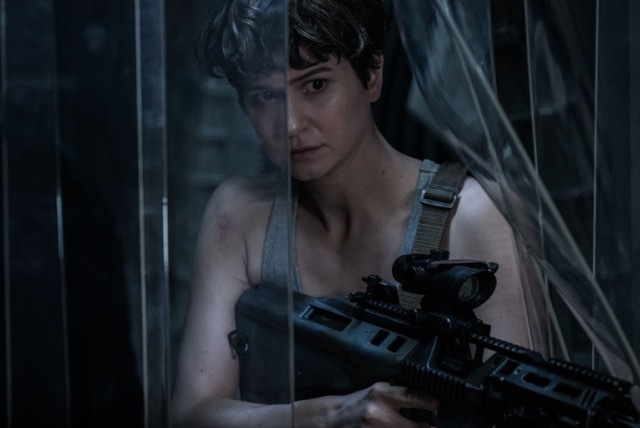 "Alien" arriving: Familiar films are the name of the game these days and that's not likely to change given their boxoffice strength. Disney and Marvel's "Guardians of the Galaxy" easily held on to first place in its second weekend with $63 million, bringing its domestic cume to $246.2 million. Disney said Sunday that "GG2" did an estimated $115.2 million internationally last weekend, bringing its international cume to $384.4 million. Its global cume to date is $630.6 million. "Internationally, 'Guardians of the Galaxy Vol. 2' is now open in all international markets and its $384 million cume to date is already 8% ahead of the total run of 'Guardians of the Galaxy' at today's (exchange) rates," Disney noted. "GG2's" $146.5 million opening May 5 ranks as the year's second biggest after "Beauty and the Beast" with $174.8 million. The year's other top five openings to date also came into the marketplace with the benefit of very familiar roots: "The Fate of the Furious," the eighth in the "Fast and Furious" franchise, is third with $98.8 million. "Logan," an "X-Men" Wolverine tale, is fourth with $88.4 million. "Kong: Skull Island," the latest incarnation of the legendary "King Kong," is fifth with $61 million. This weekend will see another familiar creature from Hollywood's past emerge at the boxoffice as 20th Century Fox and Scott Free Productions' R rated sci-fi thriller "Alien: Covenant" opens at about 3,600 theatres. It got off to a good start in 34 international markets last weekend with about $42 million. Directed by Ridley Scott ("Alien," "Prometheus"), it stars Michael Fassbender, Katherine Waterston and Billy Crudup. 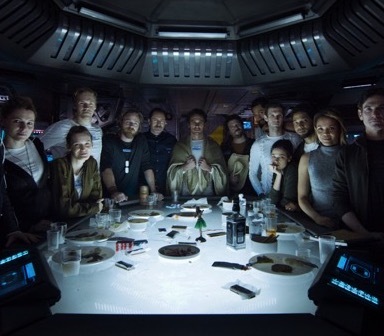 "Covenant" is the second in a trilogy of "Alien" films from Scott (following "Prometheus" in 2012) whose stories connect to his 1979 original that spawned the blockbuster franchise. In the new episode, while traveling to a distant planet on the far side of the galaxy, the crew of the colony ship Covenant discovers what they think is an uncharted paradise. It turns out, however, to be a dark, dangerous world that may be home to those who created life on Earth and from which the space travellers must now attempt a terrifying escape. "Covenant" is Scott's third "Alien' franchise episode. It's the eighth title in a series that also includes three non-Scott sequels and two non-Scott "Alien" and "Predator" mash-ups. The seven already released titles have grossed $515.9 million domestically. Here's a detailed rundown of how the franchise episodes to date have performed at the boxoffice. NOTES: In keeping with how films were released in the late '70s, because "Alien" was doing well it expanded its run weekly by a handful of theatres. Its first wide break – at least, in terms of what was considered wide then -- was in its fifth weekend when it went from 148 to 635 theatres. Its widest release was in its seventh week with 757 theatres. Its cume at that point was $35.8 million. "Alien" reportedly cost $11 million to produce. Its $78.9 million domestic cume made it 1979's sixth biggest film – after "Kramer vs. Kramer" ($106.3 million); "The Amityville Horror" ($86.4 million); "Rocky II" ($85.2 million); "Apocalypse Now" ($83.5 million): and "Star Trek: The Motion Picture" ($82.3 million). "Alien's" domestic cume rose to $80.9 million after the 2003 release of "Alien: The Director's Cut." That new version of the film stemmed from some 100 boxes of footage being found unexpectedly in a London film vault. When "Alien" was made, Sigourney Weaver was not a well known actress. She'd been seen in the 1978 drama "Madman" and had had a very small role in Woody Allen's 1977 best picture Oscar winning comedy "Annie Hall." She received second billing in "Alien" (after Tom Skerritt). Stardom followed, after which she received top billing in "Aliens," "Aliens 3" and "Alien: Resurrection." NOTES: Before directing "Aliens," James Cameron made his first big hit – the 1984 sci-fi action classic "The Terminator," starring Arnold Schwarzenegger, which did $38.4 million domestically and $40 million internationally. It spawned a five episode franchise that wound up doing $608.7 million in domestic theatres. Cameron had signed on with Fox to write the "Aliens" screenplay, but the studio let him interrupt his writing so as to be able to direct "Terminator." Fox reportedly went along with the delay because it was delighted with what Cameron had already turned in. NOTES: David Fincher was a first time feature director with extensive experience directing videos when he made "Alien 3." Fincher complained about ongoing studio interference during production and left the project before editing began. In 2004, Fox reportedly offered Fincher the opportunity to do a director's cut of the film with an audio commentary for a DVD set of the franchise's first four episodes, but Fincher declined to participate. The extended DVD version of "A3" was called the Assembly Cut and was based on an early work print that Fincher had participated in putting together. NOTES: Danny Boyle was reportedly the studio's original choice to direct after the success of his 1996 drama "Trainspotting." That didn't work out, reportedly because Boyle and Fox weren't in agreement about a storyline for "AR." Paul W.S. Anderson ("Resident Evil" franchise) was another possibility to direct "AR," but scheduling turned out to be a problem. In 2004, Anderson came on board to direct the mash-up "Alien Vs. Predator." NOTES: Guillermo del Toro was reportedly an early choice to direct "AVP," but he decided instead to do the 2004 fantasy action horror film "Hellboy." When Anderson signed on, he gave up directing the 2004 sci-fi action horror thriller "Resident Evil: Apocalypse," which he had written. His replacement was first time feature director Alexander Witt. This was the first film in the "Alien" universe not to star Sigourney Weaver. It also was the first one that wasn't rated R.
Arnold Schwarzenegger, who starred in the 1987 sci-fi action thriller "Predator," reportedly agreed to return in "AVP" -- but only if he didn't get elected Governor of California! (6) "Aliens Vs. Predator - Requiem"
DOMESTIC OPENING (PER THEATRE): $13.7 million ($5,229) for the five day New Year's holiday weekend ($30.5 million). This first weekend followed a $9.5 million opening on Tue., Dec. 25 at 2,563 theatres ($3,713 per theatre). NOTES: Although the first "AVP" was rated PG-13, the filmmakers decided from the start that this episode would be R rated to give series fans the strong horror experience they wanted to see. The Strause Brothers wanted to shoot "AVP-R" in 3D, but that wasn't possible for budget reasons. The picture reportedly was made for about $40 million. Of the five "Predator" series films, this one ranks fourth in terms of its domestic gross ($41.8 million). Of the seven "Alien" series films, "AVP-R" ranks seventh in terms of its domestic gross. NOTES: "Prometheus" reportedly cost about $130 million to produce. Ridley Scott reduced production costs by using practical visual effects rather than more expensive computer generated images (CGI) where possible. Scott has said that when he made his now classic 1982 sci-fi hit "Blade Runner," special effects supervisor Douglas Trumbull ("2001: A Space Odyssey") told him, "If you can do it live, do it live." That good advice helped achieve "Prometheus's" one Oscar nomination – for Best Achievement in Visual Effects. "Prometheus's" storyline, per Scott, was inspired in part by Erich von Däniken's ("Ancient Aliens") writings about ancient astronauts. "Both NASA and the Vatican agree that it is almost mathematically impossible that we can be where we are today, without there being a little help along the way," Scott's observed. "That's what we're looking at -- we are talking about gods and engineers, engineers of space. Were the Aliens designed as a form of biological warfare, or biology that would go in and clean up a planet?" Bottom line: Although the legendary King Arthur prevailed on the battlefield, he was slaughtered at the Mother's Day boxoffice last weekend. Warner Bros. and Village Roadshow Pictures' PG-13 rated 3D action adventure "King Arthur: Legend of the Sword" opened in third place to $14.7 million. It reportedly cost $175 million to produce and was said to be the first of a planned six picture series about the King. "Sword," comScore said, "had solid openings internationally, generating an estimated $29.1 million from roughly 18,000 screens this weekend from 51 markets in release for $43.8 million globally." Second place went to the opening of 20th Century Fox and Chernin Entertainment's R rated mother-daughter buddy comedy adventure "Snatched" with $17.5 million. It reportedly cost about $42 million to produce. Last weekend saw domestic ticket sales of $128 million, per comScore, vs. $130.8 million this time last year. That's down 2.1 percent from when "Captain America: Civil War" led the chart in its second weekend with $72.6 million and a domestic cume of $296 million. 2017's $4.133 billion boxoffice to date, according to comScore, is up 2.6 percent vs. $4.029 billion a year ago. That slim lead represents an ongoing downward trend. A week ago, 2017 was ahead by 3.8 percent and the week before that it was up by 4.2 percent in comScore's tracking. Despite the current boxoffice blahs, Hollywood handicappers are thinking positively about some familiar upcoming titles. They're projecting a $100 million launch over Memorial Day weekend for Disney and Jerry Bruckheimer Films "Pirates of the Caribbean: Dead Men Tell No Tales." Directed by the "Kon-Tiki" directing team Joachim Ronning & Espen Sandberg, it stars Johnny Depp, Geoffrey Rush, Javier Bardem and Orlando Bloom. There also are high hopes for an opening of $75 million or more for Warner Bros., DC Entertainment and Dune Entertainment's "Wonder Woman," opening June 2. Directed by Patty Jenkins ("Monster"), it stars Gal Gadot in the title role, Robin Wright and Chris Pine.